"I loved this reel! I used it for about 3 months and then the worm gear broke. Now I have to pay to send it in a get it fixed. Shoulda spent the extra money for the viento"
"When i first got this reel i was stoked about it. I had placed it on my ugly stik baitcaster rod and. the thing that most moved me was the castibility. i spooled it up with 20 pound braid it worked well for the bonito and bass but when it came to storage the reel got stuck and couldn't move so i took it back to BPS and of course with great customer service they fixed it like so. Since then it has worked really great. Good Product Daiwa"
"Bought this reel last spring and did a lot of topwater fishing with it and after about 4 days of fishing the worm gear began to pop and bind up. After the trip I took the worm gear nut off and found a small piece of willow pollen that had found its way into the gear." "Used this reel 23 times last season, it was smooth, quiet and comfortable. The flipping tab was useful eventhough it took some practise. I wll buy another one this Christmas for my Grandson. 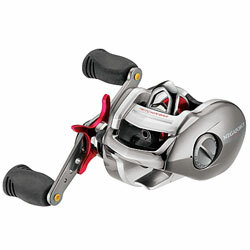 This is a good reel and should give years of good service, a joy to use."